Building Materials There are 29 products. 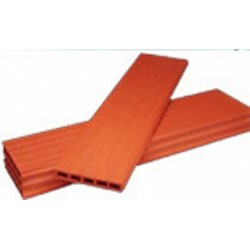 1/2 Round Roof Tiles of 40cm 28 pieces = 1m² Price per piece. Colours boulder for decoration. 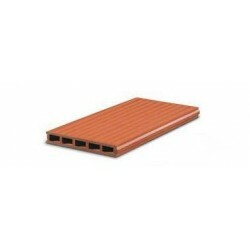 Available calibres:15-25mm25-50mm Avilable colours:Black, Red, Green and Yellow. Price per 25Kg/Bag. 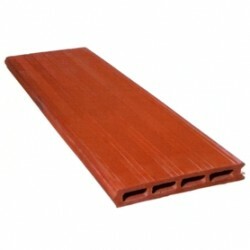 Aged Interlocking Roof Tiles 13 pieces = 1m² Price per piece. 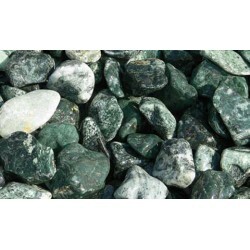 BIG BAGS / Colours boulder for decoration. 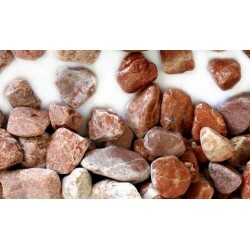 Colours boulder for decoration.Available calibres:15-25mm25-50mm Avilable colours:Black, Red, Green and Yellow. 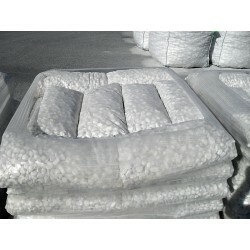 Price per 1.000Kg/Bag. BIG BAGS / White boulder for decoration. White boulder for decoration. 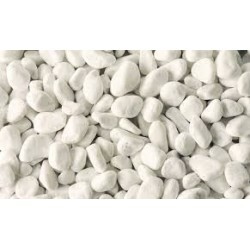 Available calibres:15-25mm25-50mm Price per 1.000Kg/Bag. White boulder for decoration. Available calibres:15-25mm25-50mm Price per 25Kg/Bag. 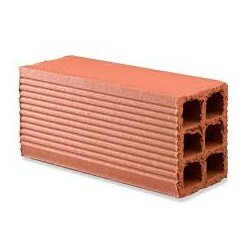 Ceramic Brick Thermo-Clay Measures: 19x19x30cm Price per piece. 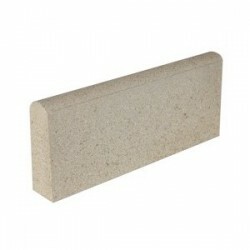 Cement Barrier for garden 20x50x4,5cm Price per linear meter. 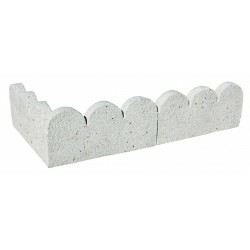 Cement Barrier for garden 20x50x5cm Price per linear meter. 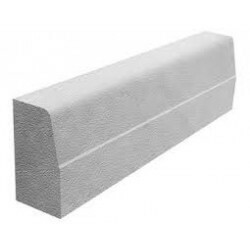 Cement Barrier 25x50x12cm Price per linear meter. 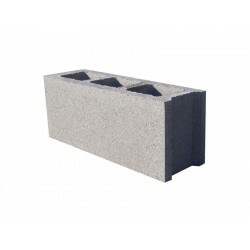 Cement Block 10x20x50cm Price per piece. 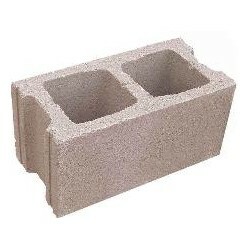 Cement Block 15x20x50cm Price per piece. 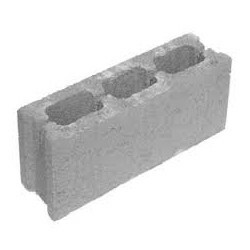 Cement Block 40x20x20cm Price per piece. 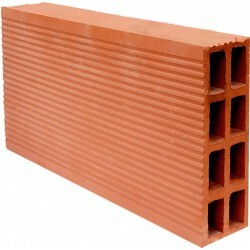 Ceramic Brick 10x19x33cm. Price per piece. 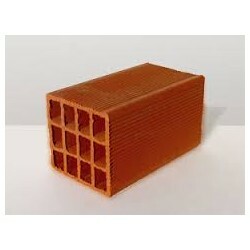 Ceramic Brick 7x20x33cm. Price per piece. 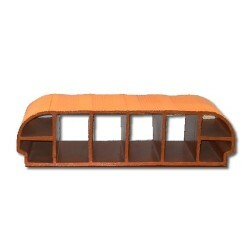 Ceramic Brick Shelving of 100cm Measures: 3,5x25x100cmPieces/m²: 4Weight: 6,90Kg Price per piece. 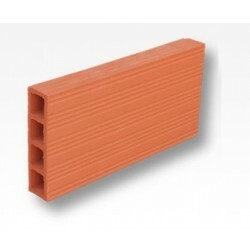 Ceramic Brick Shelving of 50cm Measures: 3x20x50cmPieces/m²: 10Weight: 2,5Kg Price per piece. 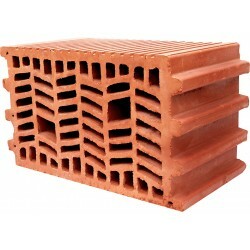 Ceramic Brick Shelving of 70cm Measures: 3x20x70cmPieces/m²: 8Weight: 3,6Kg Price per piece. Ceramic Brick 9x19x33cm. Price per piece. Ceramic Top Slab - "Ceramic Bovedilla" Measures: 13x25x64cm. Price per piece.